At 8 a.m., we were wondering who would show up for the hike. The snow had been coming down for hours, and it would continue doing so for the rest of the day. It was just the sort of weather that can make you think I’m staying in today. 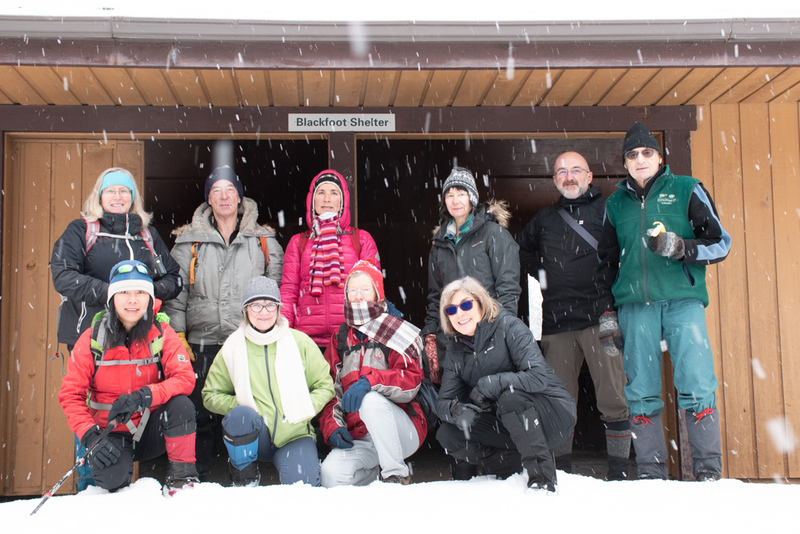 But ten people did come out to hike at the Blackfoot Lake end of Blackfoot Recreation Area. It was fine weather for a winter walk in the woods—not too cold, only a few inches of snow, and the continuous falling of snowflakes that a creates beauty and silence that you get to enjoy only a few times a year. 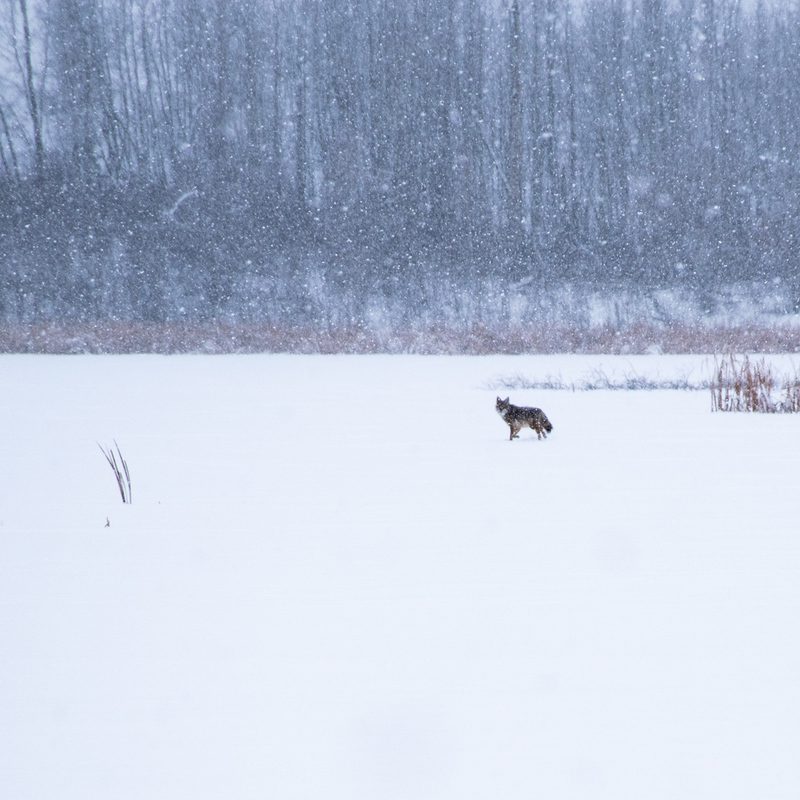 Highlights of the hike include seeing this coyote on the lake, and then later, listening to a chorus of coyotes yipping and howling not too far away. 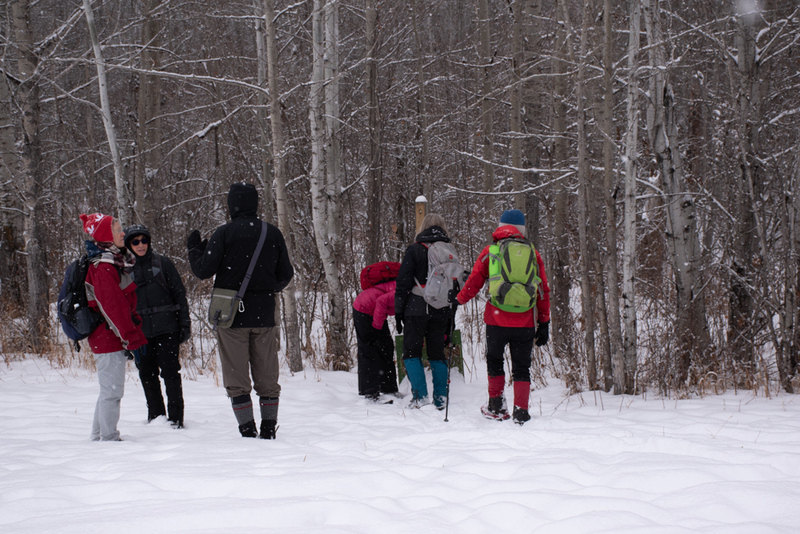 Thanks to Anita for leading the hike. You can see more pictures on Flickr.